According to a recent Deloitte study, 76 percent of government leaders agree that digital technologies are disrupting the public sector. However, only 41 percent of government leaders are satisfied with their public agency’s reaction to the disruptive effects of digital technologies. After surveying more than 1,200 government leaders worldwide, Deloitte found that only 13 percent of government organizations are “digitally mature” while 60 percent are still developing their digital maturity. Twenty-six percent of government organizations reported they are still early in developing digital maturity. I contacted William Eggers, one of the co-authors of the report, to have him explain more about how public agencies could become more digitally mature. 1) Could you explain some more about what makes a “digitally sophisticated” leader? 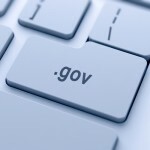 Name two or three government leaders who are digitally sophisticated. The question of who should lead an agency’s digital transformation has two answers, because it requires two people: a political sponsor to champion the initiative and a hard-charging executive to drive it through the bureaucracy. The sponsor’s job is to champion digital transformation and provide political cover when it conflicts with traditional ways of working—as ambitious digital efforts almost always do. 2) What are some of the biggest obstacles to digital transformation? Procurement processes were cited as a significant obstacle by government officials—76 percent of respondents say that procurement needs to change to accommodate digital transformation. Regulations, lack of flexibility and a lack of procurement skills were identified as the most significant obstacles to digital-friendly procurement. Governments need to simplify procurement so winning bids depends on capabilities to actually deliver rather than familiarity with the bidding process. The U.S. Department of Health and Human Services’ Buyers Club has pioneered this sort of open-proposal approach to procurement—a strategy that also welcomes smaller upstart bidders. Likewise, new procurements should break large contracts into smaller parts, shift to open standards for data interfaces, promote collaboration and retain flexibility and agility. These changes to standard approaches may require developing specific procurement talent. 3) A major necessity for digitally transforming agencies is to recruit and retain highly skilled talent while upskilling the current workforce. This will take some time, so what can government agencies do now to increase their pool of highly skilled talent? Our global survey of government leaders identified workforce issues and technical skills as the most challenging areas for digital evolution. Many government agencies lack the right skills to take advantage of digital transformation—skills in user research and analysis, agile and iterative project management, financial modelling and digital supply chain issues, as well as coding and design. They need a plan that pinpoints the capabilities they need and suggests ways to secure them. Create a unique value proposition to attract the best talent. Talented people care about what they do. Government employment may not come with stock options and fat paychecks like the private sector, but it does offer purpose and an opportunity to affect millions of lives. Make that your value proposition and speak from the heart about your team’s mission. Embrace a temporary dream team. In an age when workplace rules are evolving and the “Gig economy” is a reality, it’s unrealistic to expect top technologists to have decadelong careers in government. If you have the chance to cherry-pick and build a digital team of brilliant individuals, take it—even if it’s temporary. This dream team can lay a lasting foundation for digital transformation by putting in place the right processes, culture, structure and dynamics that the organization will benefit from in the long term. Balance tech whiz kids with government veterans. The best digital teams are multidisciplinary and diverse. The shiny new technologist from Silicon Valley cannot come in and save the day without the people who have the domain expertise and have worked in government for years. You need the best of both worlds—those with a deep understanding of government’s processes and challenges as well innovation-minded tech whizzes—to collectively transform government processes and programs.